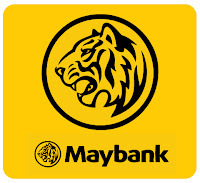 Detailed description Since the inception of the award in 1972, Maybank has sponsored more than 1,000 scholars as well as provided them with employment opportunities. The scholarship awards incorporate the Bank’s CSR philosophy of ‘Growing with Responsibility’, assisting those who excel to complete their tertiary studies and pursue a career with the nation’s largest financial services group. Achieve your aspirations with the Maybank Scholarship Award. Realise your full potential and be part of Asia’s leading financial services group. Application can be made through Online Application Form or Download Scholarship 2014 Application Form. * Incomplete applications or applications received after closing date will not be considered. Only shortlisted candidate will be notified.